Gravlax, often called “Lox”, is a classic preparation for curing salmon in an effort to preserve the taste while maximizing shelf life. 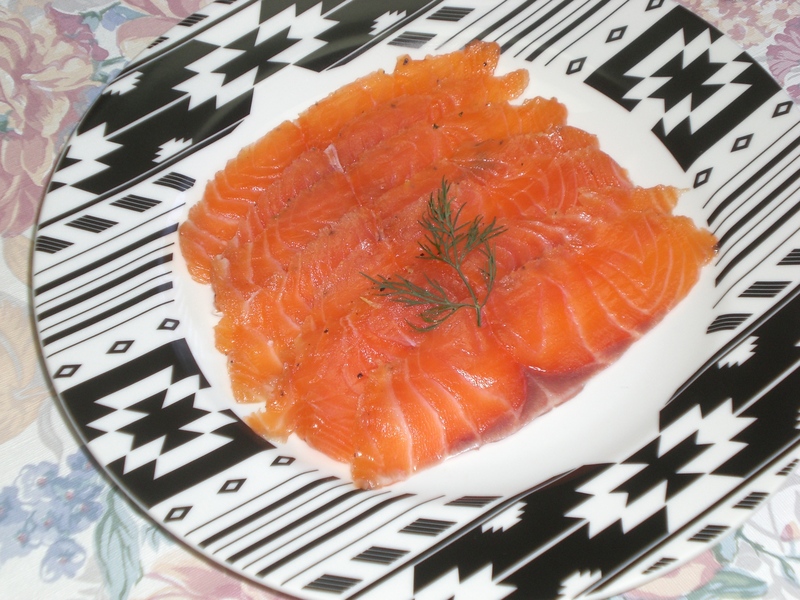 Often times, people confuse gravlax and smoked salmon because they look very similar. However, they are prepared differently and each have a distinct taste and texture. 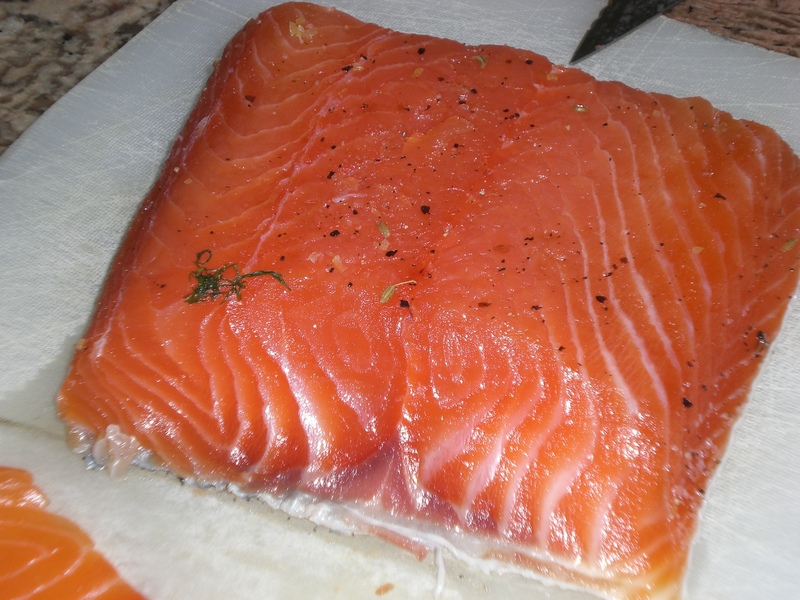 Gravlax is cured using a mixture of salt, sugar, and dill while smoked salmon is hot or cold smoked. I decided to make gravlax at home because most options available at the supermarkets are artificially colored, overly slimy, oddly fishy, and just simply not good. Surprisingly, the process is really simple. You start by taking an entire filet of salmon (about 12” long) and cutting it in half. 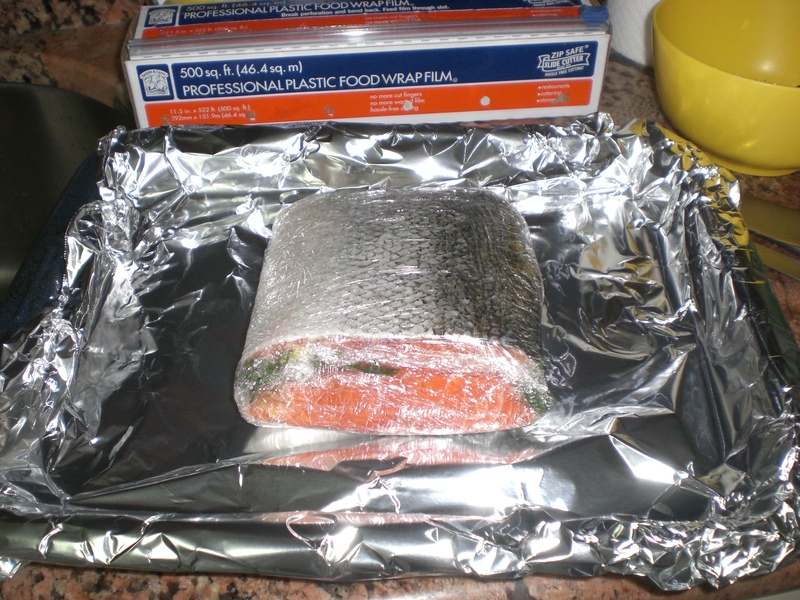 Lay down a long sheet of plastic wrap on your counter and place the piece of fish, skin-side down, on the plastic wrap. Create the curing mixture (described below) and smother the flesh side of the fish with it. 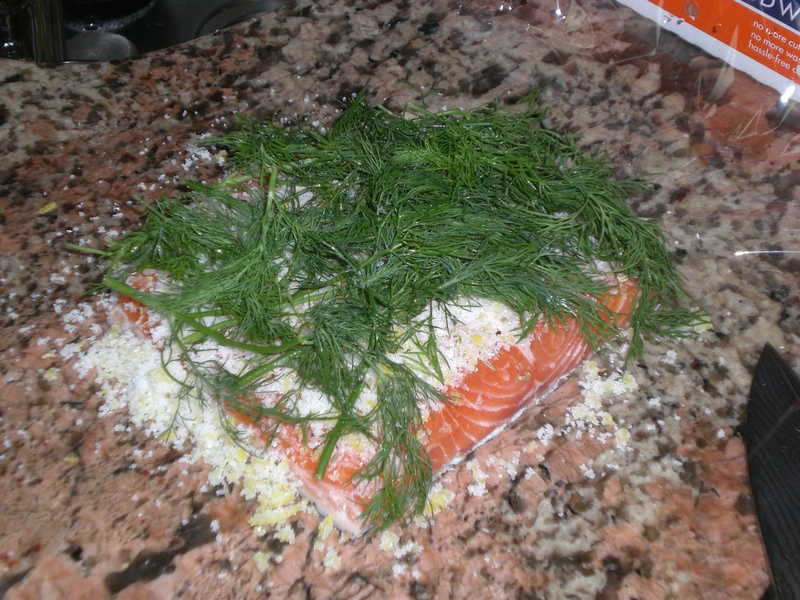 Once the curing mixture is in place, lay large amounts of fresh dill over the cure and then place the other piece of fish (flesh-side down) on top of the dill. Finally, you want to wrap the fish tightly in the plastic wrap, as if it’s a package. Place in the fridge and put some weights over top of it. 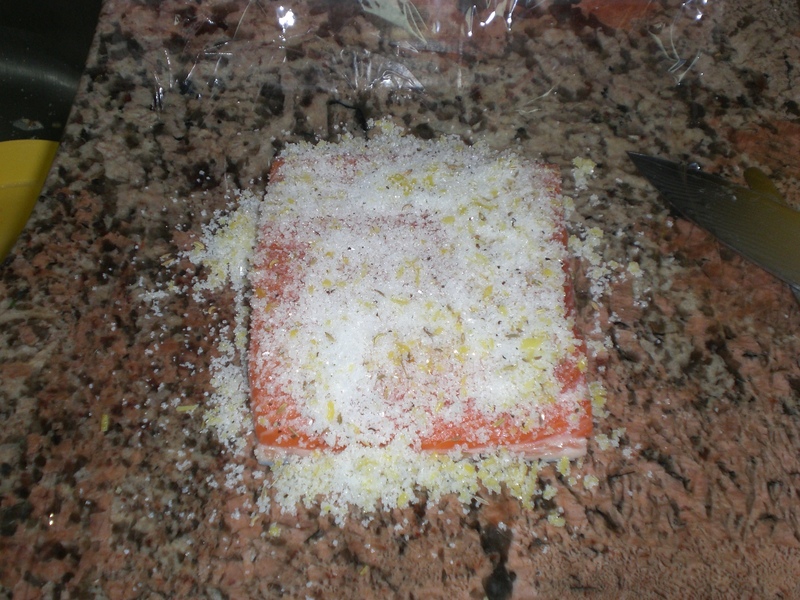 About 48-72 hours later your gravlax will be ready to slice and serve! I just both sushi quality Tuna chunk I will apply the same recipe.